Every bed, we make ourselves, one at a time! Everyone who works at The Beloit Mattress Company spends time in our attached mattress factory where we make mattresses the way they used to – by hand. Quite simply, we’re dedicated to the world of sleep. We know that better sleep health means better overall health, and we aspire to spread our knowledge to others so they can improve their quality of life. We aren’t competing with ourselves to ring up as many sales as possible. We’re looking to offer quality, handmade mattresses that improve and enhance lives. 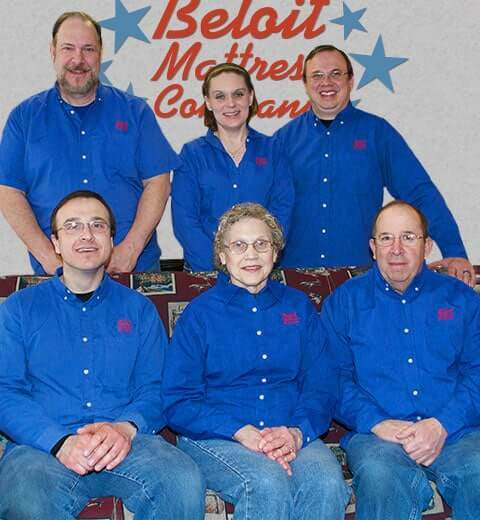 Here at The Beloit Mattress Company, we are the designers, the manufacturer, and the retailer. In fact, when you shop for a new mattress at Beloit Mattress Company in Wisconsin, you won’t encounter any pushy salespeople. No, the sales staff at Beloit Mattress are trained Sleep Geek Consultants. Certified Sleep Geek Consultants are trained to advise our customers on their sleep and well-being, rather than just pushing mattress products just to make a profit. Sleep Geeks are trained through Geek U to understand what constitutes good sleep, why good sleep is important, and how you can achieve the kind of sleep that leads to having a better quality of life. And we’re proud that all Beloit Mattress Sleep Consultants have completed Sleep Geek U, the education and professional development course created specifically for the bedding industry by our partners Leggett & Platt. We genuinely care that you choose the right mattress product for your specific needs and you’ll be treated like family every step of the way. When you buy a mattress from us, you can feel proud knowing that your bed is supporting local workers and the local economy. All of our steel mattress springs are produced in either Sheboygan, WI, or Batavia, IL. Our foam products are manufactured in Portage, WI. Our cotton and wool comes from Memphis, TN. Most of our fabrics are woven in mills in North Carolina. Supporting American workers is important to us. 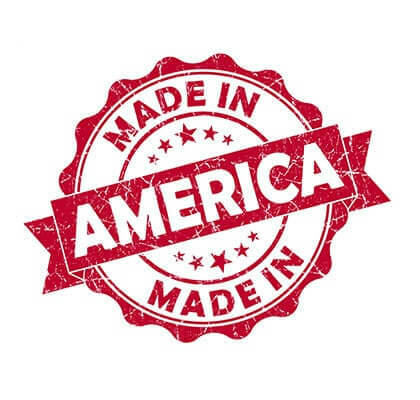 When you buy a mattress from Beloit, you can feel proud knowing that your mattress is made personally by us – using both American parts and American labor. The fact is that all the major national mattress companies are now owned by investment firms, not mattress people. They’re more interested in getting a maximum return on investment than in making a quality mattress, not to mention making sure customers get the best possible rest. However, at Beloit Mattress, we are mattress people. A family of mattress people, in fact. Mattress making has been our family business for more than 60 years. And we take great pride in the products we make.